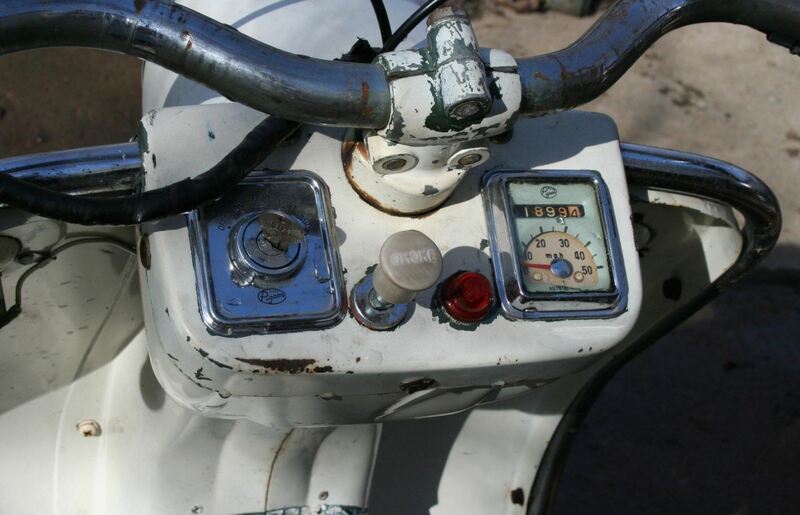 In the 1950s and 60s, Rockford Scooter Company of Rockford, Illinois imported several Japanese lines for sale in the US. Bike-urious chronicles the importation of Bridgestone Motorcycles in 1963 right here. As it turns out, Rockford also signed a deal with Mitsubishi to import the ‘Silver Pigeon’ line. 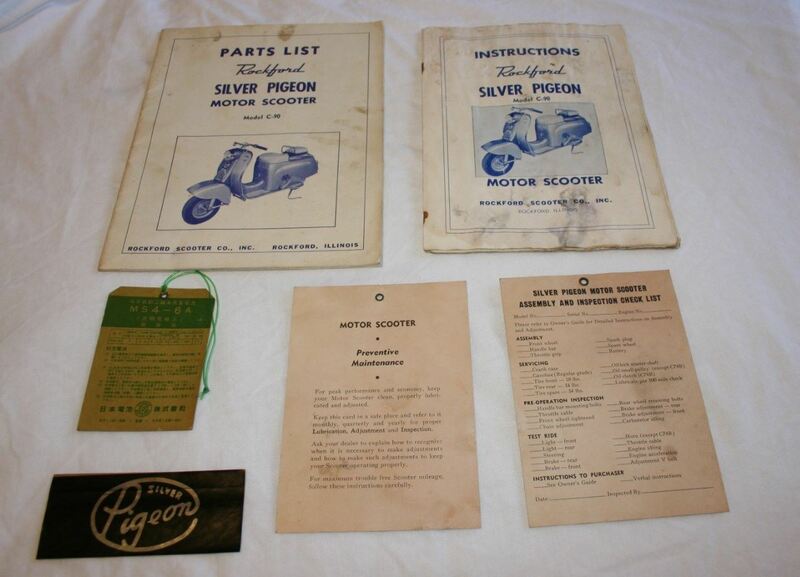 Rockford was aggressive in their marketing signing up a large dealer network nationwide and made a deal with Montgomery Wards (the catalog retailer) which allowed them to sell Silver Pigeons as Riverside Commuters through their store and catalog network. The Mitsubishi Silver Pigeon was first introduced in 1946 as a 112 CC and continued until 1963 with 17 models up to 210 CC using both 2 stroke and 4 stroke motors. Over 460,000 Pigeons were sold during the production years. The 1961 Rockford Silver Pigeon (C 90) used a 200 CC air cooled four stroke single cylinder motor that made 4.9 HP. The power was managed by a belt driven centrifugal clutch that in turn drove a jackshaft arrangement to a chain final drive. Tires were 4.00 x 8 (inches) with a weight of 320 LBS and a top speed of around 45 MPH.